Capture their attention-and keep it With the rise of digital media, you'd think it would be easier than ever to be heard. Yet, most messages fail to cut through the clutter. Consumers are overwhelmed. Ads alone aren't effective. And you can't just churn out content and connect on every social network. To stand out today, you need to start with your brand. 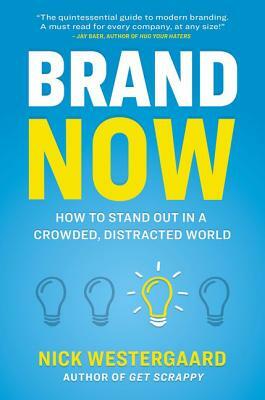 Brand Now uncovers the new rules of branding in our complex and chaotic world. Written by the author of Get Scrappy, the digital marketing bible for business, this latest book explains how to build brands that resonate both online and off. The book helps you: Create a brand with meaning * Reinforce it with the right touchpoints * Hone your brand's unique story * Share it through engaging content * Cultivate a sense of community * Craft a coherent experience * Stand out with simplicity and transparency The world may be growing louder, but with Brand Now's big ideas and practical toolbox, you can break through the noise-and win a place in the hearts and minds of your customers.